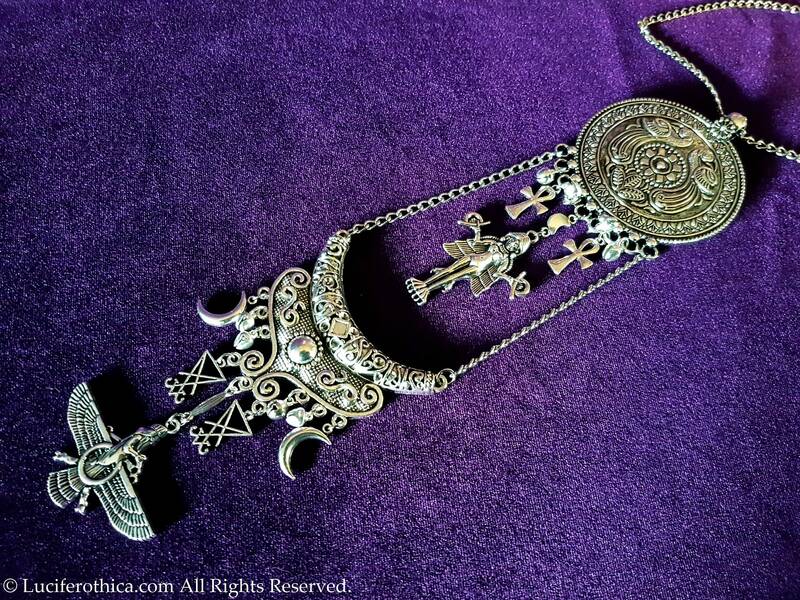 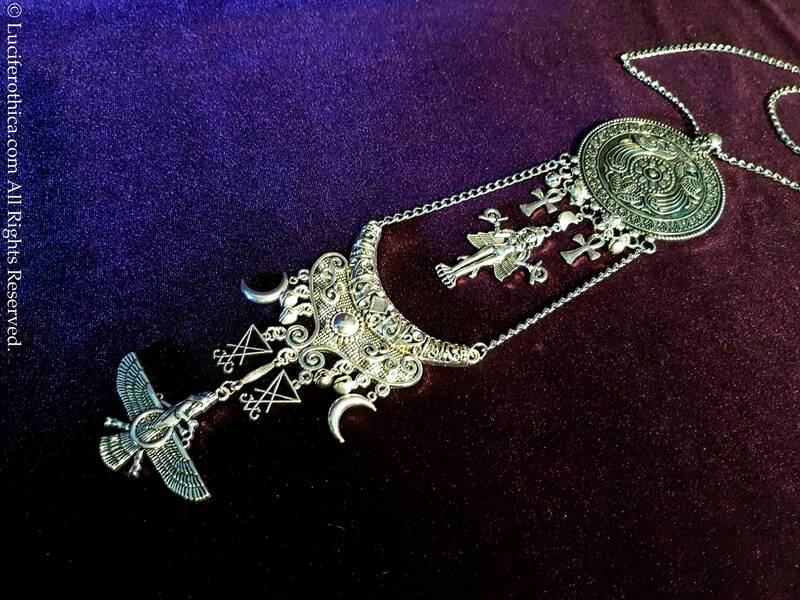 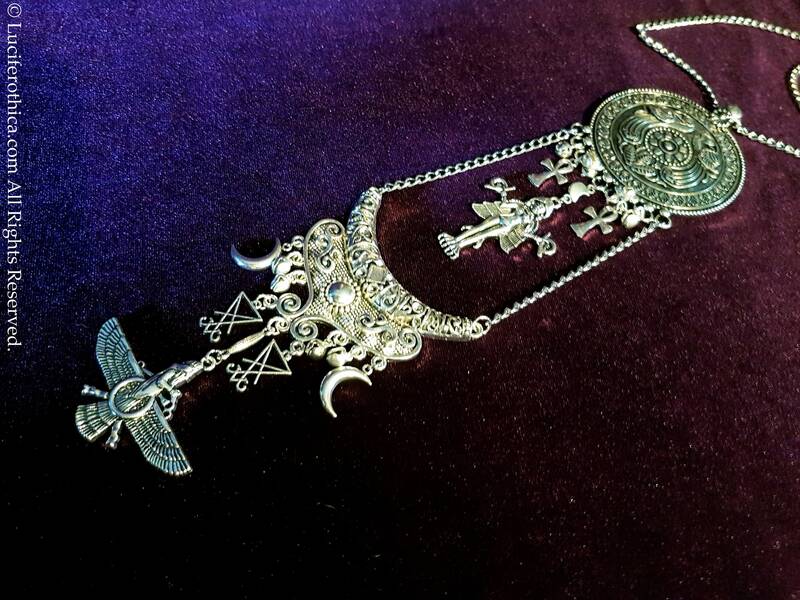 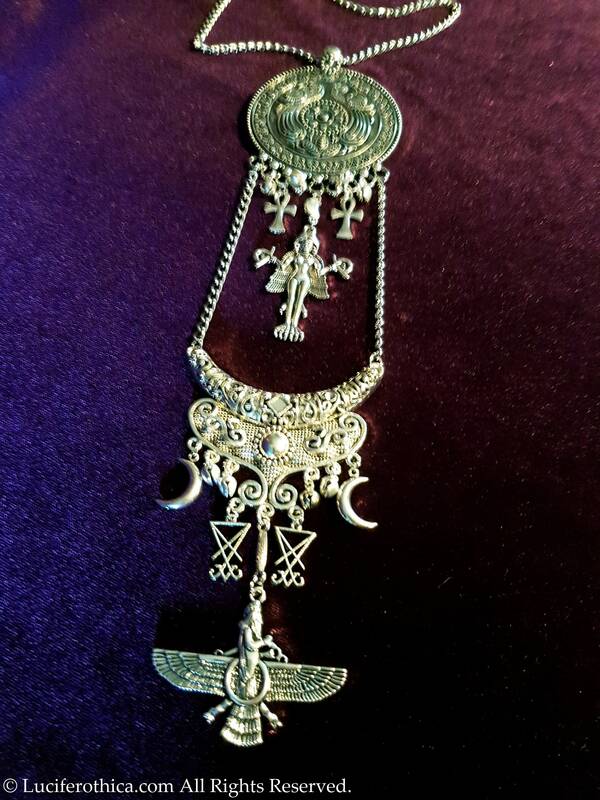 Beautiful handmade necklace with lots of occult symbolism. 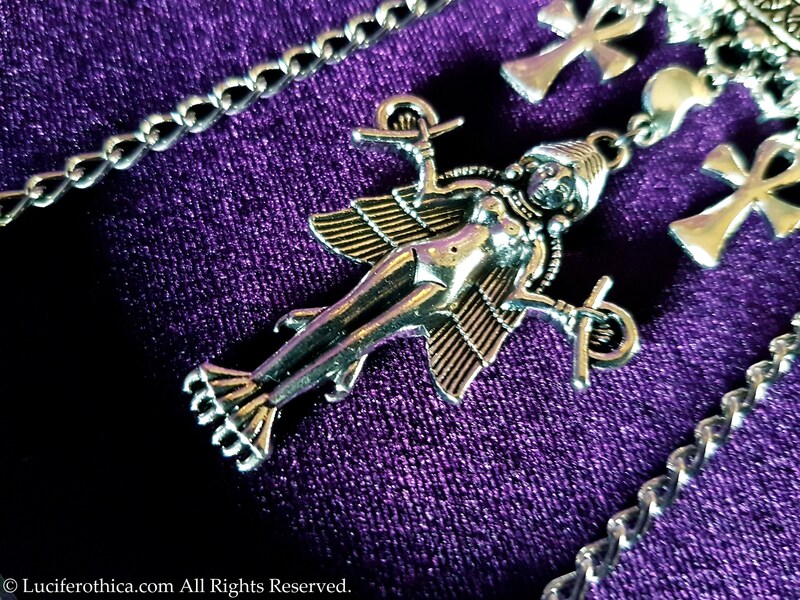 - 60cm long silver colour chain. 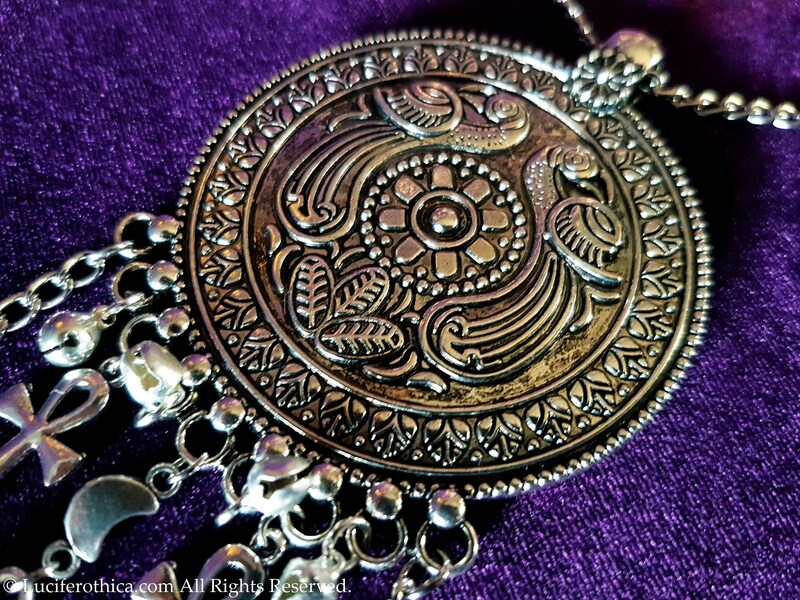 - Round ornament (6cm diameter) representing the sun disk. 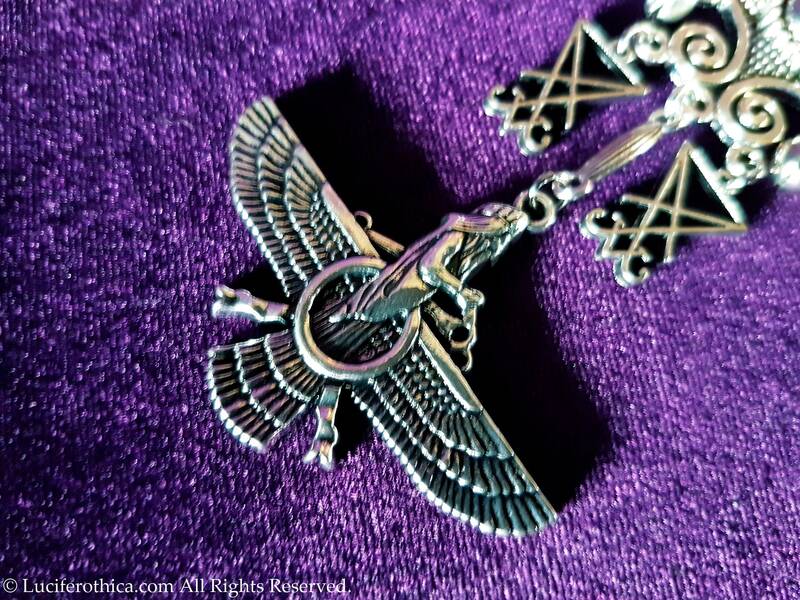 On the disk you can find 2 Phoenix birds and the noble 8 fold path way symbol in the middle. 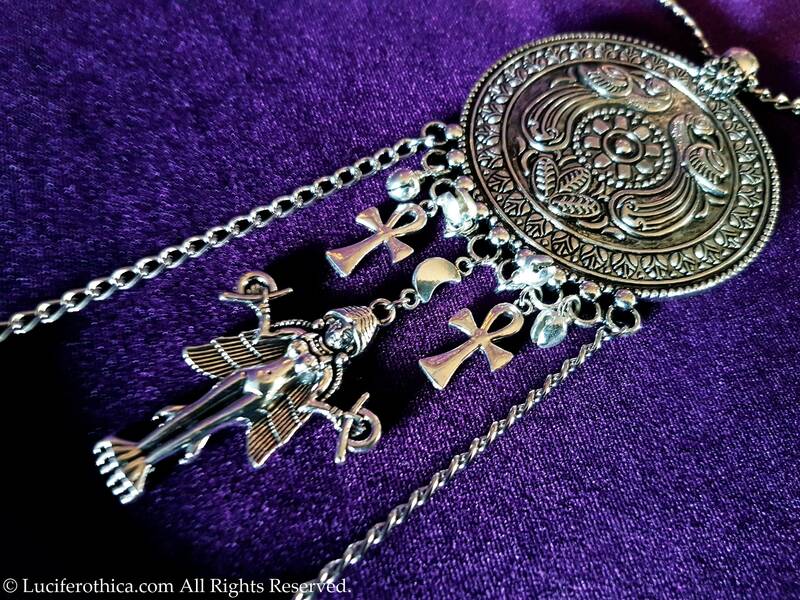 - 2 Ankh symbols and mini crescent moon, surrounded by mini bells. 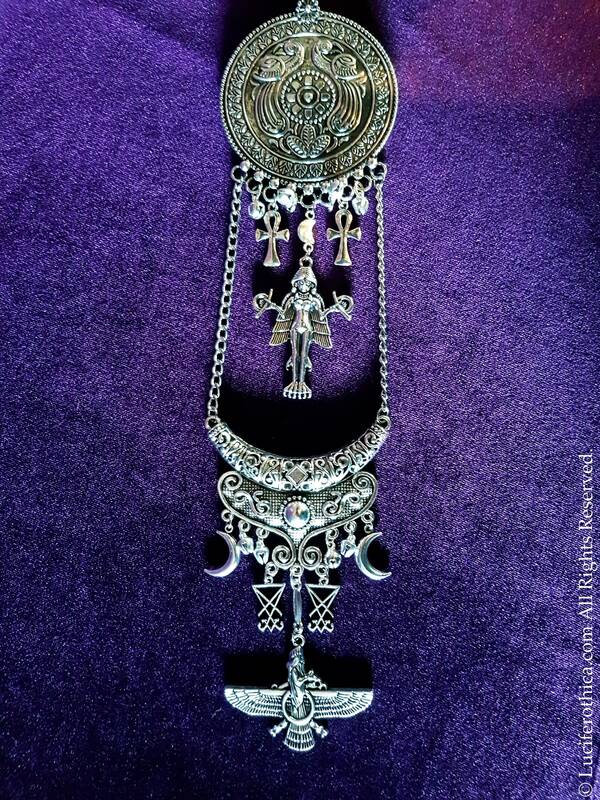 - The second part contains again 2 crescent moons & 2 Sigil of Lucifer symbols surrounded by mini bells.